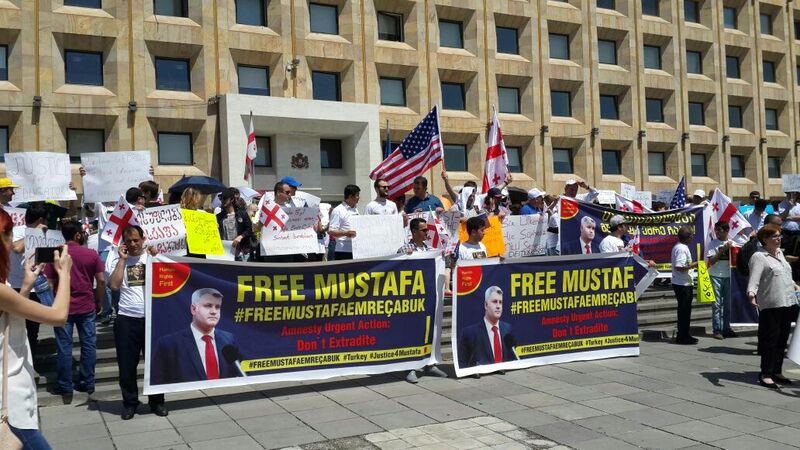 Colleagues and friends of Mustafa Cabuk staged a protest in Tbilisi, asking the government not to extradite the teacher. Whenever foreigners face trouble, the first thing they do is to seek assistance from their countries’ consulate. In my case, it is the exact opposite. My consulate is waging a war against its own citizens. And we are one of the victims. Last month, Turkish Prime Minister Binali Yildirim visited Tbilisi, the Georgian capital. Just hours after he left, the police detained my husband. We were told that my husband, Mustafa Emre Cabuk, who has lived in Georgia for over 16 years, is sought in Turkey on charges of terrorism. For over a decade and a half, we have known no home but Georgia. Mustafa and I have no connections to Turkey except few weeks of summer vacations. We were not even booked over a speeding ticket in our lifetime, let alone a charge as grave as terrorism. A Georgian court sentenced Mustafa last week to a three-month pre-extradition prison until they figure out if Turkey’s accusation merits extradition. In Turkey, terrorism is a catchphrase to frame anyone the government deems as a non-loyalist. Last week, Turkey issued an arrest warrant for NBA star over terrorism. A comedian is in Turkish prison over terrorism. A singer whose pastime is mocking officials is in prison. It is not surprising that my husband, an ordinary physics teacher who had no connection to Turkey for over 15 years, is now accused of terrorism. Mustafa came to Georgia 16 years ago and started working in a Black Sea town of Batumi. He was only 23 and had just finished the college. His father died shortly before he was to leave Turkey for this post-Soviet republic. Undeterred, he was determined to go to Georgia and work as a physics teacher in a high school. Back then, Georgia was an impoverished country with the population that hardly matched that of our capital, Ankara. I met Mustafa when he was a teacher in Batumi, a coastal resort town and the country’s important window to the world. We later got married. As a small family, we dedicated ourselves to educating Georgian kids regardless of the difference in our faith, race, and language. When I arrived in this country 11 years ago, I had a number of worries. Who wouldn’t have? I was coming from a relatively affluent country to a nation that was gripped with political turmoil, economic instability and, from time to time, war. It was Mustafa’s love toward Georgia, its people and particularly his students that rekindled my heart with enthusiasm to stay. Tuba Cabuk with her kids. I remember vividly my first impression when I entered into the school building in Batumi. The Soviet-era school there was so dilapidated and small that I couldn’t even compare with the schools I worked back in Turkey. Mustafa’s colleagues were so warm and embracing that they soon made me feel at home. I have a long list of good memories and nice friendships in just one year we stayed in Batumi. Leaving a city that you lived, worked and loved was not as easy as I thought it would be. We had only a month old baby. 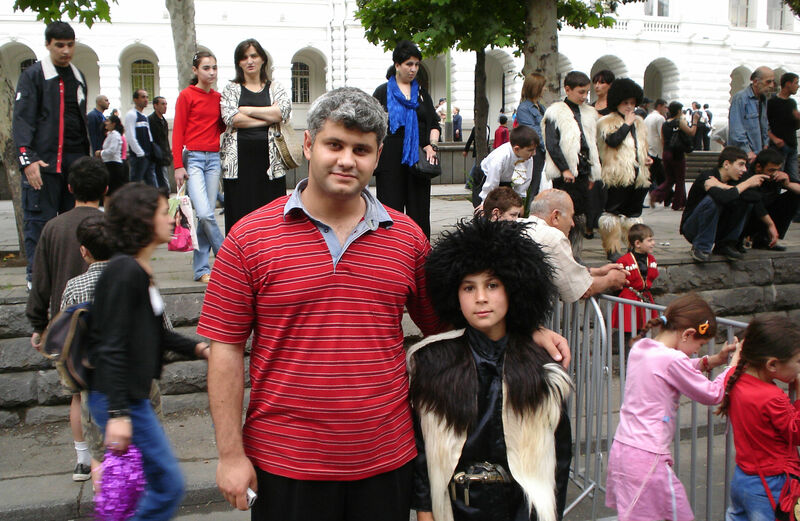 We decided to move to a city called Kutaisi, just 2 hours drive from Batumi, where Mustafa would be a school principal. Conditions in Kutaisi were much worse compared to Batumi. The school building was extremely old and the school administration decided to renovate the building in the hope of delivering better education. To help school’s already depleted budget, Mustafa changed his suit after his work and started working as a construction worker. Once a man came to the school Mustafa was working and approached the man who was painting the walls. The visitor asked him where he can find the school principal. “Oh, it is me,” Mustafa responded. The visitor was visibly startled. This incident is an often-cited anecdote among Mustafa’s colleagues as a testament to his dedication to educating Georgian kids. Nearly 10 years ago, we were in Turkey for a summer vacation. In August 2008, Russia invaded Georgia, rolling out tanks all the way to a city called Gori, only 50 miles from the capital. Without thinking or hesitation, he immediately bought a plane ticket. It was not a school time. He had no work to do. I and his mother were stunned. Probably the first thing you need to do when a war breaks out anywhere is to stay away from that country. “I need to be in the school. I need to be with my Georgian friends,” Mustafa told us. Thankfully the war was over in 5 days and Russia decided to pull out its troops. At a time when Georgians feared of an imminent Russian invasion of Tbilisi, Mustafa went to stand by his Georgian colleagues. Our Georgian friends frequently tell us that they would never, ever forget Mustafa’s sacrifice and a display of solidarity. During those trying times, water was running for only 3 hours, twice a day. It took a whole lot of efforts to fill up a water tank. We had to wash our clothes by hand since there was no running water to make the washing machine work. This was a situation that we have never faced back in Turkey. For 5 years, we survived those harsh conditions. Mustafa had never thought of returning to his former comfortable life in Turkey. He had a deep-seated love for Georgia and its people. Following 5 years of hardship in Kutaisi, we decided to move to the capital. We now had 2 sons. 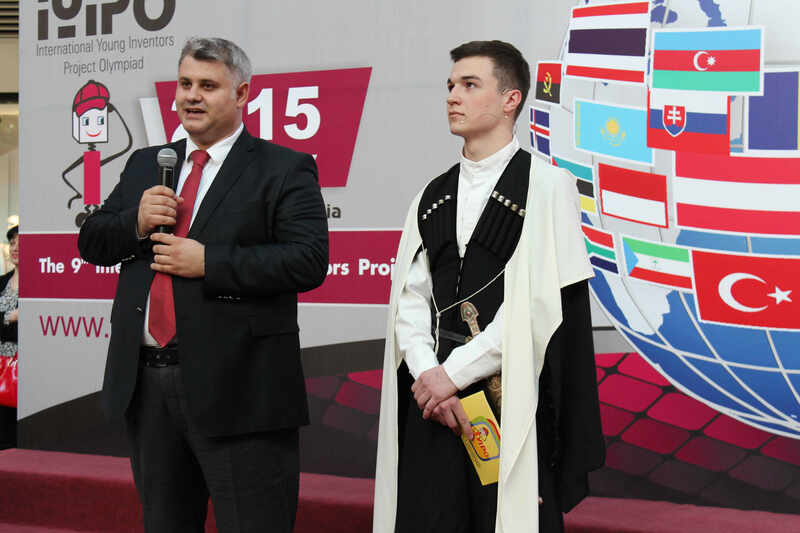 In Tbilisi, Mustafa’s new job was to coordinate International Young Inventors Project Olympiad . It is basically an international science contest among school kids. He was organizing students from all corners of the world to come to Georgia, and express themselves with their scientific inventions. These events were a science festival and a very effective way to promote Georgia and put it on the world science map. Georgian authorities, including ministers, endorsed these events for years. He was awarded by the Georgian authorities for his contribution to science, for bringing together children from dozens of countries to Tbilisi. It’s been nearly a month that Mustafa is in prison. We are doing everything in our capacity to prove to the Georgian authorities that he is innocent. If he is handed over to Turkey, he will face a certain arrest and possibly be tortured. I do trust in Georgia’s justice system, but the pressure by Turkey is enormous. As Mustafa said during a court hearing, he had carried nothing in his pocket other than a piece of chalk. We didn’t even go to Turkey for 17 months, but now blamed for terrorist activities and a coup attempt. 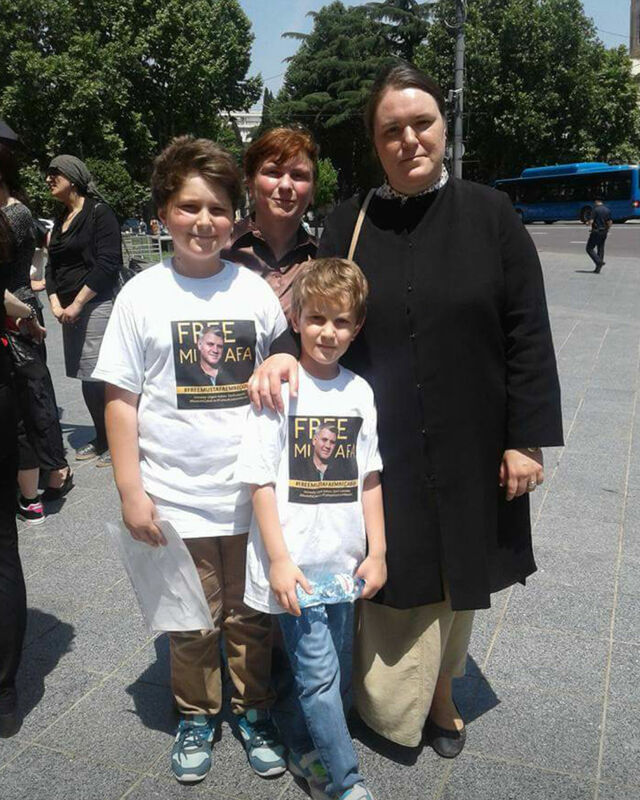 The Amnesty International has already launched a campaign, urging Georgian authorities to release Mustafa. I ask you to join this and other campaigns. You can write letters to Georgia’s ambassadors or the prime minister. We have to act before it is too late.